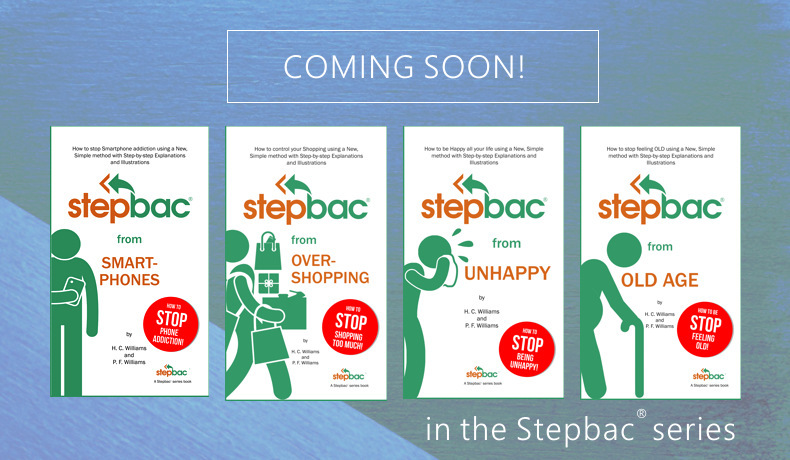 “Stepbac® is a series of self-improvement books based on a new and simple method to change unhealthy lifestyle choices and take back control of one's health and well-being. 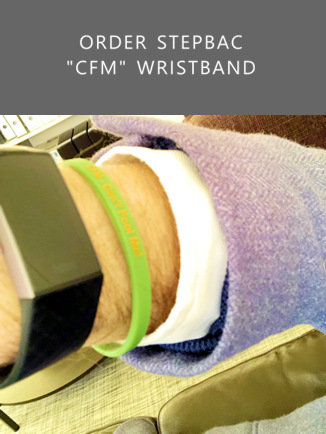 The Stepbac® method is a simple way to take a personal "step back" to a time in life when you had a healthier lifestyle. “Stepbac® from Overeating“ explains four main things that make you want to eat too much and teaches you one thing, the Stepbac® action, to help you stop overeating. Available in Kindle e-book and soon in Paperback! “Stepbac® from Smoking” is a new, simple way to quit smoking cold turkey using the Stepbac® method. “Stepbac® from Smoking” is easy, fast and fun, both to read and understand with over 40 illustrations and diagrams to help explain exactly how to stop smoking using the easy Stepbac® method. Available in Kindle e-book and Paperback! "I loved this book. Simple, practical, and actionable. It will work, 100%, if one understands the 4 reasons we all overeat, and then employs the 4 steps in the Stepbac method. The Williams Brothers have nailed the problem, and provided an easy to follow solution for all us - Stepbac! "This book is absolutely brilliant. It's very easy to read and not too long and the best thing is - it works!!! I read it over the course of two days and then had my last cigarette in the evening. I was very surprised in the morning to find I had hardly any craving at all (the morning was always the worst time). There's no cd to listen to, no complicated techniques, just a simple instruction once you've read the book." ★★★★★ Stepbac from Overeating review on Amazon.es. Facil de leer y aplicar. Es un libro con ideas y opiniones que nos hacen reflexionar de lo que comemos y lo que podemos dejar de comer sin que nuestra vida cambio mucho pero nos podemos sentir mejor. "Just finished reading the book and smoked my last cigarette. It's great book and I believe it will help me quit. It's very practical book and backed up with science." "It works! After 30 years and countless attempts to quit smoking this tiny book did the trick. Can hardly believe it. First time ever I am over 4 weeks not smoking at all. Amazing feeling.. Thanks so much!!" 2019 Stop Smoking Tips from the creators of the Stepbac® method - a new and better way to stop smoking called the Stepbac® method. We hope these "Stepbac® from Smoking" tips will help you make a success of your 2019 New Year's Resolution to Quit Smoking for once and all. The new weight control book “Stepbac® will help you take back control of your weight by teaching you a simple way to change your daily overeating habits and take a “Stepbac®“ to your natural and healthy weight. Stepbac T-shirts and merchandise now available! Order your Stepbac® T-shirts and merchandise -Stepbac® method on Teespring.com. How to stop teenagers from smoking? Many parents want to know how to stop their teenage children from smoking. Here's how. Book a Stepbac® talk by the creators of the Stepbac® method, Peter and Carl Williams. What is the Mediterranean diet? How does it work? The best way to lose weight naturally is to take back control of your body's natural eating habits. How many people are overweight and obese in Spain? How do I quit smoking immediately? WHO: Tobacco kills more than 7 million people each year. Why is smoking on the rise? How can I help someone quit smoking? Tips and ideas. Cold turkey is best way to quit smoking, says research in 2016. Experts say, quitting cold turkey has a better long term result. What is best way to Quit Smoking Cold Turkey 2020? “I quit but I miss smoking so much”. Help me please! How long does it take to stop smoking? How can a book help me quit smoking? Best way to stop smoking. Stepbac® from Smoking. Give up smoking for good! Stepbac® to feeling better today!